It is a scene of utter carnage. A video taken by a survivor of the Linwood mosque attack shows a room in the minutes after the gunman has left. It is humanity in its rawest, bleakest form. The wails of injured and terrified survivors well up as the phone camera pans around the room, taking in not just the haunted and shocked faces of the survivors but the bloodied bodies of the dead. The harrowing 80-second video, shot on mobile phone and seen by news.com.au and verified by Storyful, shows the panicked moments after the shooting at the Linwood mosque yesterday. Australian man Brenton Tarrant, 28, is accused of killing 49 people and injuring 48 others in shooting spree across two mosques in the New Zealand city. Police allege the man shot up the Masjid Al Noor mosque before heading across town to complete his deadly rampage at the Linwood Mosque. In the video, voices call out to each other as men move frantically trying to help each other while others stand still, seemingly in a state of suspended disbelief, unable to process the horror of what has just happened. The phone camera points outside a window to a driveway where the body of one of the victims lies next to an uncomprehending survivor. In another moment, two bodies are shown lying next to a car. One man's white button-up shirt is stained by blood; another man's traditional tunic is similarly smeared with blood. One man cradles the dead body of another man. A young man in a grey hoodie is seen clutching his face in horror, slouched against a wall. At one point, the camera pans down to show the bullet shells littering the grey carpet. An injured man lies on the floor clutching a small child who appears uninjured. About 70 people are believed to have been kneeling in prayer at Linwood when the gunman burst inside. 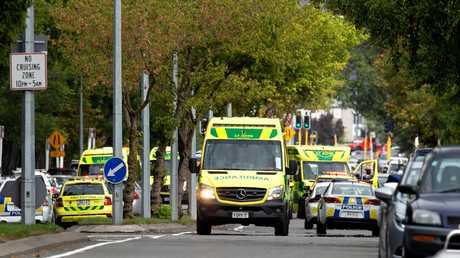 Witnesses told the New Zealand Herald the attack went on for 20 minutes. The video of utter devastation was posted to Facebook in the hours after the event. It was still available on Facebook today although video taken by the gunman himself has been removed. Although Facebook and Google acted to remove the videos taken by the shooter they had already been shared on social media by countless Australians. The terrible irony is that those who most needed to be protected from this vision - our children and teens - were the first to see the video, shared on the vast network of social media before it was even seen by news sites. One 16-year-old Australian girl described it like walking into a hideous video game: "It was surreal. I didn't really know what it was and then I realised this guy was actually shooting these people and they were falling to the ground and these were actually real people. And then I stopped watching." Some of Brenton Tarrant’s online rants. Social media is at the centre of this increasing challenge. Facebook, YouTube, Twitter and other sites that allow people to upload their own content have faced fierce backlash for letting violent and hate-filled posts and videos spread. The companies eventually halted the spread of the New Zealand shooting lifestream Friday but many say they were too slow, and argue the video shouldn't have gone online in the first place. The act of lifestreaming the attack was in itself a sign of how far internet culture has permeated the physical world. People regularly stream daily events now. And the New Zealand shooter carefully modelled his attack for an internet age. As he live-streamed the massacre he shouted out a popular meme slogan and published a long, rambling manifesto replete with inside jokes geared for those steeped in underground internet culture. 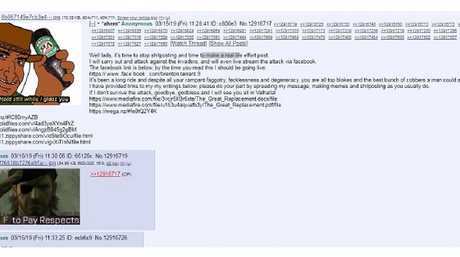 Online sleuths quickly connected the lifestreamed video to posts made by the same user on 8chan, a Dark Corner of the web where those disaffected by mainstream social media sites often post extremist, racist and violent views. Tarrant's manifesto spread quickly on 8chan Friday. The 74-page screed espouses white supremacist views even as it contradicts itself. Some saw similarities to the 1,500-page manifesto written by Anders Behring Breivik, a Norwegian right- wing extremist who killed 77 people in 2011. In a live-streamed video of his attack on two mosques in Christchurch, New Zealand, the shooter says "Remember, lads, subscribe to PewDiePie." That's a reference to Felix Kjellberg, a popular YouTuber who has faced considerable controversy of his own over videos that included anti-Semitic jokes and Nazi imagery. Kjellberg condemned the attack in a tweet Friday and said he was "sickened" by the use of his name. A survivor of the shooting at Linwood mosque revealed how his friend risked his life to tackle the gunman and wrestle away the weapon. Syed Mazharuddin witnessed the attack and said he heard gunshots and could tell the shooter was very close. "People got feared and there was screaming around and I tried to take cover," he said. "By the time I took cover this guy came through the main entrance door and it's a small mosque - there were about 60 to 70 people there. "Just around the entrance door there were elderly people sitting there praying and he just started shooting at them." Mazharuddin said the shooter was wearing protective gear and firing wildly. A man from inside the mosque then tried to tackle the gunman. "The young guy who usually takes care of the mosque … he saw an opportunity and pounced on [the gunman] and took his gun," Mazharuddin said. "The hero tried to chase and he couldn't find the trigger in the gun … he ran behind him but there were people waiting for him in the car and he fled." 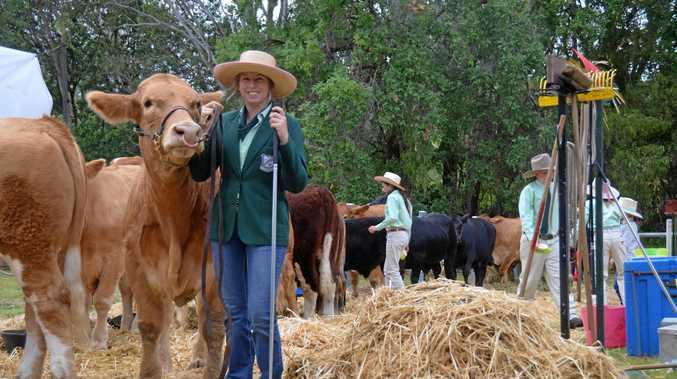 News Claire Goody has been surrounded by cattle her whole life. Rural It will encourage produce growers to boost their productivity. News A free women's mobile health clinic hits the region. News Paige Wallace was an obvious choice for 2019 Miss Show Girl.